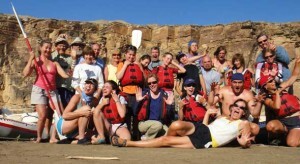 Holiday River Expeditions, a white water rafting company, recently opened enrollment for several specialty rafting trips geared towards photographers, women, singles and more. SALT LAKE CITY, Utah. – Whitewater rafting can be intimidating for even the bravest among us, and for women who do not consider themselves athletic or for beginner kayakers looking to broaden their skills with real experience, a whitewater rafting trip might be more than a little daunting. 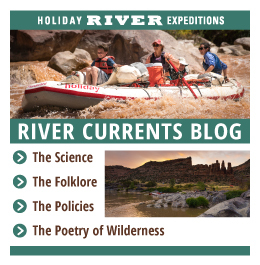 Holiday River Expeditions aims to refute these fears and share the joy of the water—as is evidenced by their new specialty rafting trips that offer a variety of hikes, trips and experiences for everyone. Unveiling their latest offerings, Holiday River Expeditions’ line up for 2011 includes women’s river and bike retreats with yoga facilitators, single and solo travelers trips, a kayak workshop, two naturalists trips, an extended fall raft/hike combination trip in Canyonlands National Park and a photography workshop with Lin Alder. “There is something very different, some say magical, about the light on the Colorado Plateau. Add in the possibility of wildflowers and wild creatures along the San Juan River and you have yourself an unmatched environment to practice your photography skills in the company of an accomplished professional photographer,” said John Wood, president of Holiday River Expeditions of the photography workshop. An all-female crew powers the women’s trips, and the singles trips allow like-minded adventurous rafters to meet new friends in their age bracket. The single and solo traveler’s trip includes side canyon exploring and other activities to foster friendships and encourage group participation. Beginning kayakers can enroll in the kayak workshop on the Green River, and those interested in experiencing the Canyonlands National Park can study the same plants, geologic landscapes and plants that naturalists from around the world have lauded. Holiday River Expeditions has specially formulated these expeditions so that at the end of your specialty trip you will return having learned something new. Some of the company’s guests even find a new life direction. To learn more about these and other specialty trips being offered by Holiday River Expeditions in 2011, visit https://www.bikeraft.com/trips/specialty-expeditions/.